Microsoft announced that Windows 10 will be the final named version of Windows. Future updates will come, but they'll still carry the Windows 10 label. That means it can legitimately be called the last Windows version. 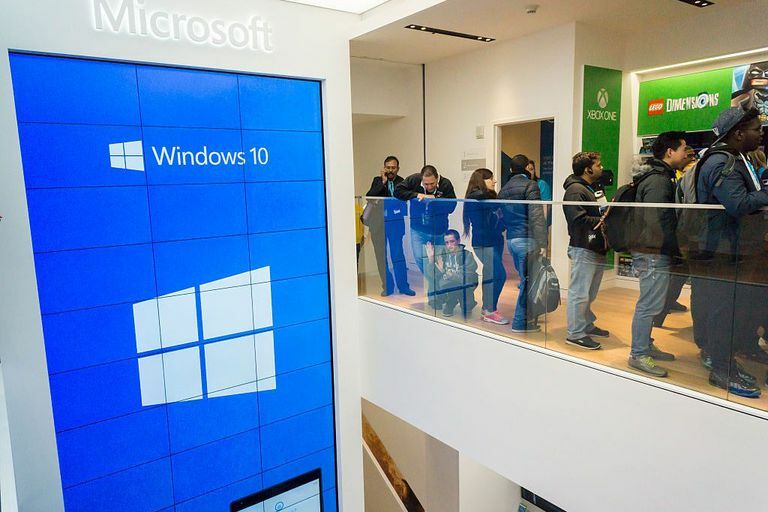 From its initial release in 1985 through its ongoing active development in 2018 and beyond, Windows has been a major player in the consumer and corporate PC ecosystem. Replaced: ​MS-DOS (shorthand for 'Microsoft Disk Operating System'), although until Windows 95, Windows actually ran on top of MS-DOS instead of completely replacing it. Innovative/Notable: Windows! This was the first version of a Microsoft OS that you didn't have to type in commands to use. Instead, you could point and click in a box — a window — with a mouse. Bill Gates, then a young CEO, said of Windows: “It is unique software designed for the serious PC user.” It took two years from the announcement to finally ship. Obscure Fact: What we call 'Windows' today was almost called Interface Manager. Interface Manager was the code name of the product, and was a finalist for the official name. Doesn't have quite the same ring, does it? Replaced: Windows 1.0. Windows 1.0 wasn't warmly received by critics, who felt it was slow and too mouse-focused (the mouse was relatively new to computing at the time). Innovative/Notable: Graphics were much improved, including the ability to overlap windows (in Windows 1.0, separate windows could only be tiled.) Desktop icons were also introduced, as were keyboard shortcuts. Obscure Fact: Numerous applications made their debuts in Windows 2.0, including Control Panel, Paint, Notepad and two of the Office cornerstones: Microsoft Word and Microsoft Excel. Replaced: Windows 2.0. It was more popular than Windows 1.0. Its overlapping Windows brought a lawsuit from Apple, which claimed that the new style infringed copyrights from its graphical user interface. Innovative/Notable: Speed. Windows 3.0/3.1 ran faster than ever on new Intel 386 chips. The GUI improved with more colors and better icons. This version is also the first really big-selling Microsoft OS, with more than 10 million copies sold. It also included new management abilities like Print Manager, File Manager, and Program Manager. Obscure Fact: Windows 3.0 cost $149; upgrades from earlier versions were $50. Replaced: Windows 3.1 and MS-DOS. Innovative/Notable: Windows 95 is what really cemented Microsoft's dominance in the computer industry. It boasted a huge marketing campaign that captured the public's imagination in a way nothing computer-related before it had. Most important of all, it introduced the Start button, which ended up being so popular that its absence in Windows 8, some 17 years later, caused a major uproar among consumers. It also had Internet support and Plug and Play capabilities that made it easier to install software and hardware. Windows 95 was an enormous hit right out of the gate, selling a staggering 7 million copies in its first five weeks on sale. Obscure Fact: Microsoft paid the Rolling Stones $3 million for the rights to Start Me Up, which was the theme at the unveiling. Released: These were released in a flurry between 1998 and 2000, and are lumped together because there wasn't much to distinguish them from Windows 95. They were essentially placeholders in Microsoft's lineup, and although popular, didn't approach the record-breaking success of Windows 95. They were built on Windows 95, offering basically incremental upgrades. Obscure Fact: Windows ME was an unmitigated disaster. It remains unlamented to this day. However, Windows 2000 — despite not being terribly popular with home consumers — reflected an important behind-the-scenes change in technology that aligned it more with Microsoft's server solutions. Parts of Windows 2000 technology remain in active use nearly 20 years later. Innovative/Notable: Windows XP is the superstar of this lineup — the Michael Jordan of Microsoft OSes. Its most innovative feature is the fact that it refuses to die, remaining on a non-trivial number of PCs even several years after its official end-of-life sunset from Microsoft. Despite its age, it's still Microsoft's second-most popular OS, behind Windows 7. That is a hard-to-grasp statistic. Obscure Fact: By one estimate, Windows XP has sold more than one billion copies over the years. Maybe it's more like a McDonald's hamburger than Michael Jordan. Innovative/Notable: Vista is the anti-XP. Its name is synonymous with failure and ineptitude. When released, Vista required much better hardware to run than XP (which most people didn't have) and relatively few devices like printers and monitors worked with it because of the woeful lack of hardware drivers available at launch. It wasn't a terrible OS the way Windows ME was but it tanked so hard that for most people, it was dead on arrival and they stayed on XP instead. Obscure Fact: Vista is No. 2 on Info World's list of top all-time tech flops. Innovative/Notable: Windows 7 was a major hit with the public and earned a commanding market share of nearly 60 percent. It improved in every way on Vista and helped the public eventually forget the OS version of the Titanic. It's stable, secure, graphically friendly and easy to use. Obscure Fact: In just eight hours, pre-orders of Windows 7 surpassed the total sales of Vista after 17 weeks. Innovative/Notable: Microsoft knew it had to gain a foothold in the mobile world, including phones and tablets, but didn't want to give up on users of traditional desktops and laptops. So it tried to create a hybrid OS, one that would work equally well on touch and non-touch devices. It didn't work out, for the most part. Users missed their Start button, and have consistently expressed confusion about using Windows 8. Microsoft released a significant update for Windows 8, dubbed Windows 8.1, that addressed many consumer concerns about the desktop tiles—but for many users, the damage was done. Obscure Fact: Microsoft called Windows 8's user interface 'Metro,' but had to scrap that after threatened lawsuits from a European company. It then called the UI 'Modern,' but that hasn't been warmly received either. Innovative/Notable: Two major things. First, the return of the Start Menu. Second, that this will allegedly be the last named version of Windows; future updates push as semiannual update packages instead of as distinct new versions. Obscure Fact: Despite Microsoft's insistence that skipping Windows 9 was to emphasize that Windows 10 is the 'last version of Windows,' speculation runs rampant, and had been indirectly confirmed by Microsoft engineers, that many old programs had been lazy in checking Windows versions by scanning for any operating-system version label like Windows 95 or Windows 98 — so these programs would misconstrue Windows 9 as being much older than it would have been.